The Land of the Thunder Dragon. The last Shangri-La. The tiny Kingdom of Bhutan has been called many things, but only the few that have been lucky enough to peer through its doors can truly say what lies behind them. Can a country really create a national development policy that is based on a philosophy of happiness? How deep have the saffron robes of Buddhist monks influenced the culture of the country? Here’s a rare opportunity to find out the answers to these questions and more for yourself. The Happiness Revolution of Bhutan was led by Lhatu Wangchuk, the former Ambassador of Bhutan to the United Nations in New York. He leads this interesting exploration of his country, that doesn’t shy away from discussing what lies behind Bhutan’s veiled walls. But this is not a political trip, rather it’s a journey through the cultural, environmental and spiritual wonders of one of the world’s hidden treasures. Before you even land in Paro, you catch a glimpse of the magnificent Himalayan peaks in the distance. But before heading to the hills, the town of Thimpu calls. Visit the Zilukha Nunnery, stare in amazement at the huge seated Buddha at Kuenselphodrang and watch entranced while monks pray at the Dechenphodrang Monastery. 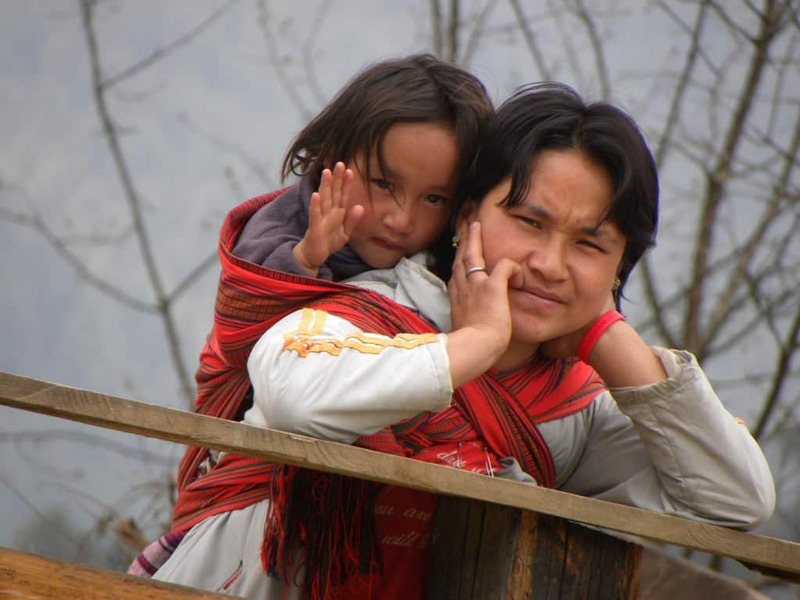 While the spiritual atmosphere envelopes the town, there are also many cultural points of interest from the Royal Textile Academy to the Folk Heritage Museum, that let you experience how remote village life is. On the journey to Punakha, the old capital of Bhutan, the beauty of this untouched land unfolds before you. From Dochu-La look across the panoramic views of snow-capped peaks towards Tibet and visit 108 chortens (stupas). 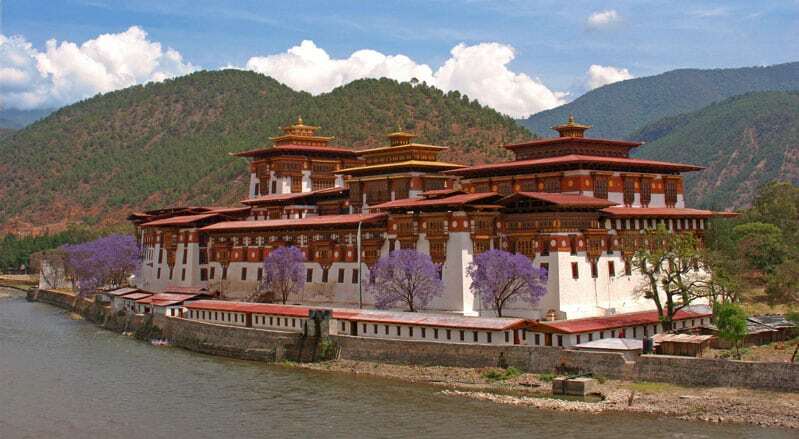 Punakha Dzong is located at the confluence of two rivers that provides a picturesque setting for the town. But it is about 70km from here, in Gangtey, that you will start to feel like you’ve left the rest of the world behind. Gangtey is a glacial valley that is has numerous hamlets dotted amongst it. Take out your binoculars and look out for the endangered black-necked cranes that migrate here from China. The serene Gangtey Monastery provides a good place to rest before heading out for a walk amongst nature. 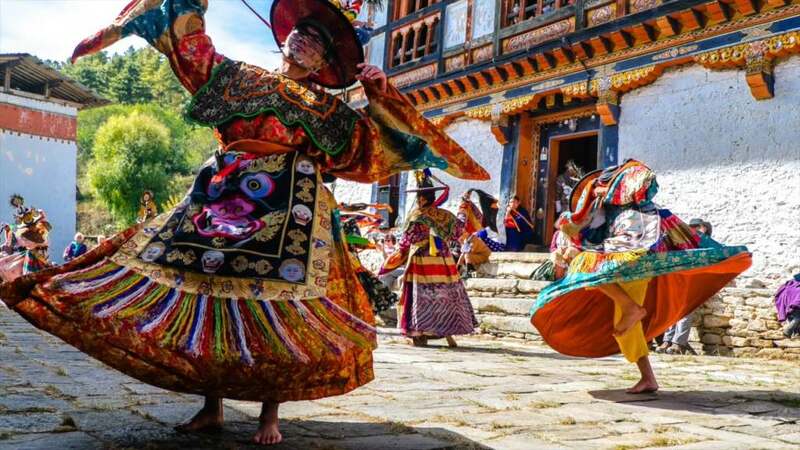 While the environment is peaceful, there are also several festivals that provide a fascinating insight into the lives of the Bhutanese people. The Jakar Dzong Tshechu festival is held over 3 days, where monks and village people act out folk dances with colorful masks. 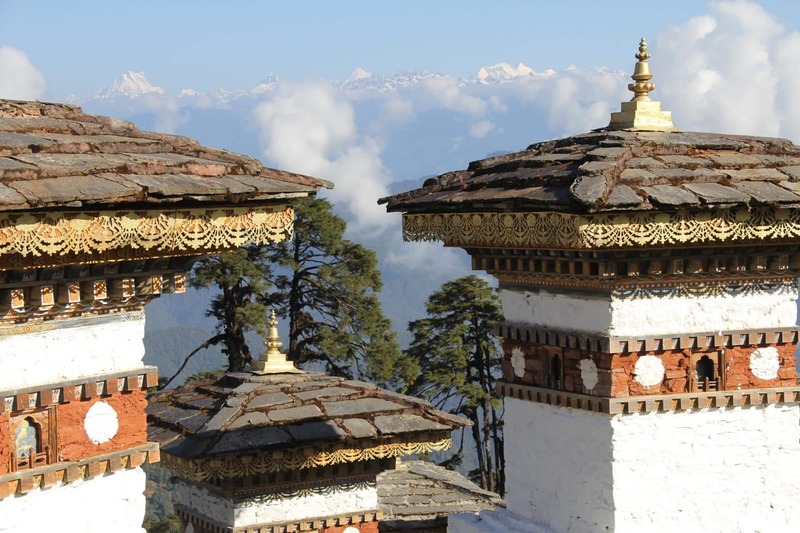 Nearby are several ancient monasteries and temples to visit, including Jambay Lhakhang and Kurje Lhakhang. Returning to Paro, there is still much left to explore before returning home, including the magnificent 7th century Kyichu Lhakhang temple that has now been restored to its former glory and the victory fortress of Drukgyel Dzong that has seen many acts of valor by Bhutanese warriors in centuries past. 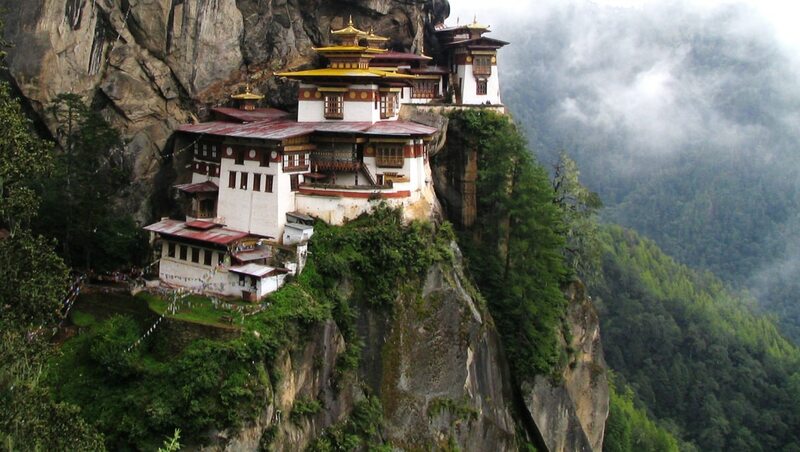 But no trip to Bhutan is complete without visiting Taktshang Temple. Perched on the cliffside at 3,000 feet above the valley, the walk here is challenging but incredibly rewarding. A fitting end to a journey to the end of the earth, the last Shangri-La. Join me with Ambassador Lhatu Wangchuk for 13 days, from October 21 – November 3, 2017, through this magnificent country, before its opens up to the world. Book by 30 April, 2017 and save $250 per person. If you’d like to know more about this incredible journey or other bespoke experiences in India, do get in touch.